There is a wide range of facilities at our Penrhyn Road campus, where this course is based. The campus has grown around the original four-storey main building, which houses many of the important hubs of activity like the main student restaurant, the learning resources centre (LRC), and a host of teaching rooms and lecture theatres. 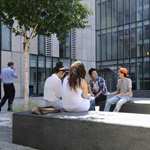 At the heart of the campus is the John Galsworthy building, a £20million teaching and learning facility. The six-storey complex brings together lecture theatres, flexible teaching space and information technology suites around a landscaped courtyard. The £9.8million Eadweard Muybridge building also provides spacious specialist laboratories and teaching spaces. Find out more about the Penrhyn Road campus in the virtual tour. The Penrhyn Road Learning Resources Centre (LRC) gives you access to a large collection of printed and electronic resources. 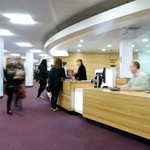 There are drop-in PC areas, video and DVD facilities, satellite TV and a variety of study spaces zoned for different types of learning activity. The wireless network in the LRC means you can also work from your laptop or mobile device. There's also a reading garden, which offers an oasis of calm when you want to get away from it all, plus a Learning Cafe where you can study over a cup of coffee and a snack. Help and information is on hand for students with disabilities or special learning needs. Find out more about the Penrhyn Road Learning Resources Centre in the virtual tour.